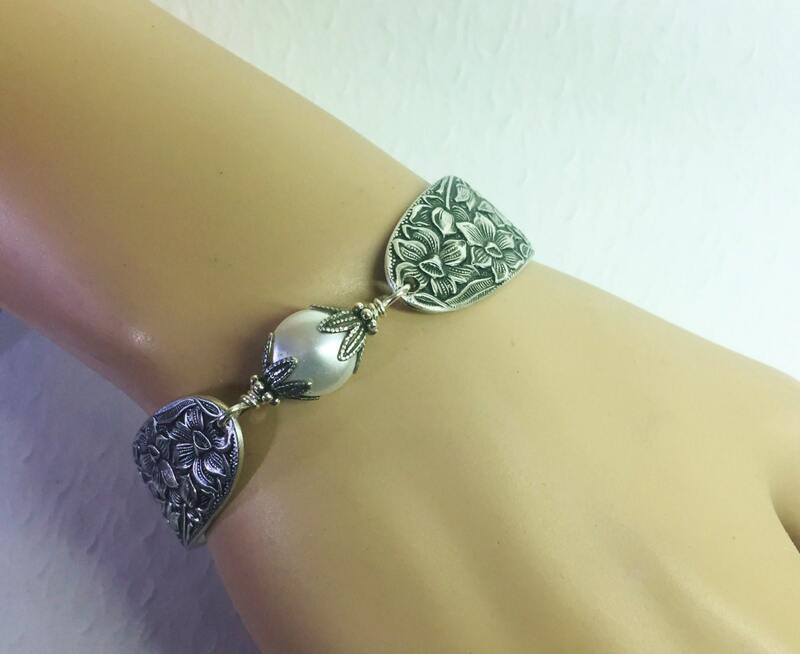 This flashy spoon bracelet was created from two sterling plate vintage tablespoons. The pattern is the elaborate "Narcissus" from 1935. 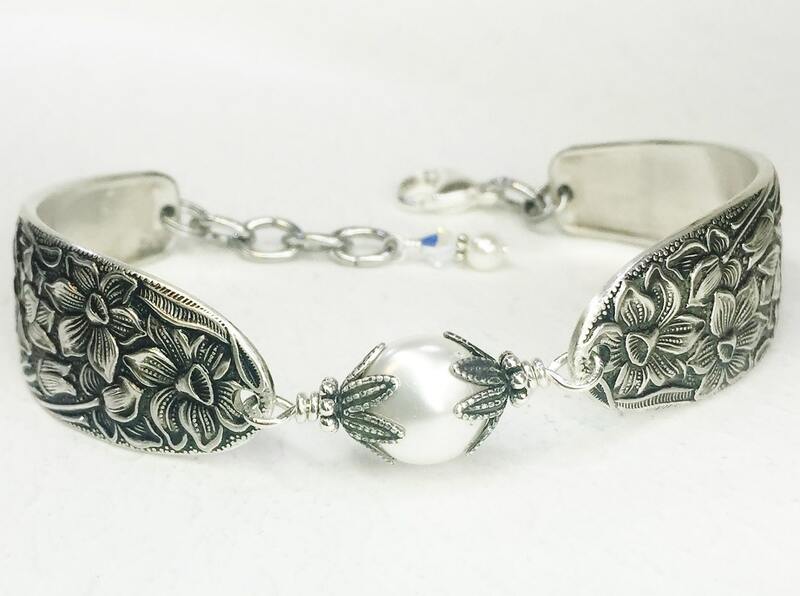 The narcissus flowers bloom throughout the entire bracelet, but the inside is smooth and comfortable. Although it was created with tablespoons, it's not too heavy and is very comfortable to wear. 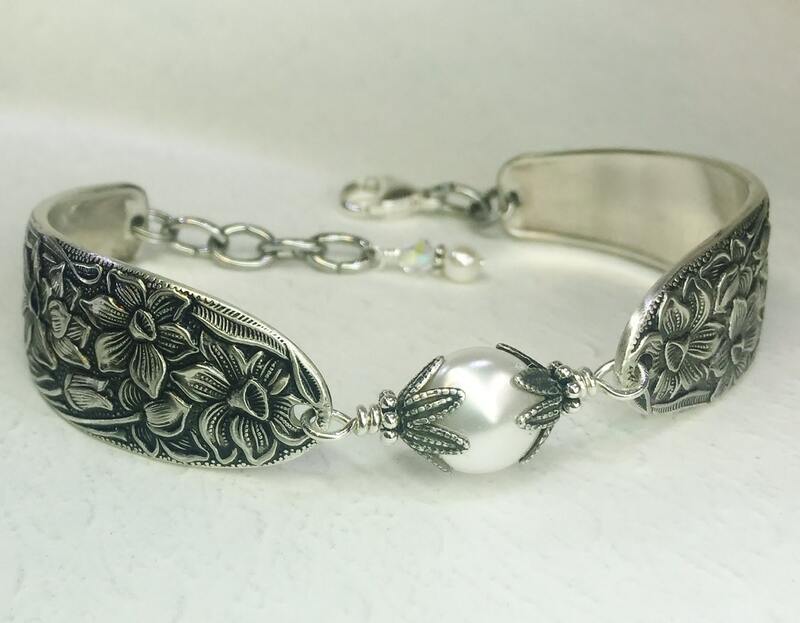 The bracelet is adorned with an 10mm white Swarovski crystal coin pearl which is attached with twists of sterling silver wire, and nestled within leafy bead caps. The spoon bracelet is finished with a high quality sterling silver lobster clasp. There are also extra rings for an adjustable fit, and they're topped off with a smaller pearl and crystal at the end. Plus, included with your purchase will be a simple bracelet hooking tool to make attaching your bracelet very easy. 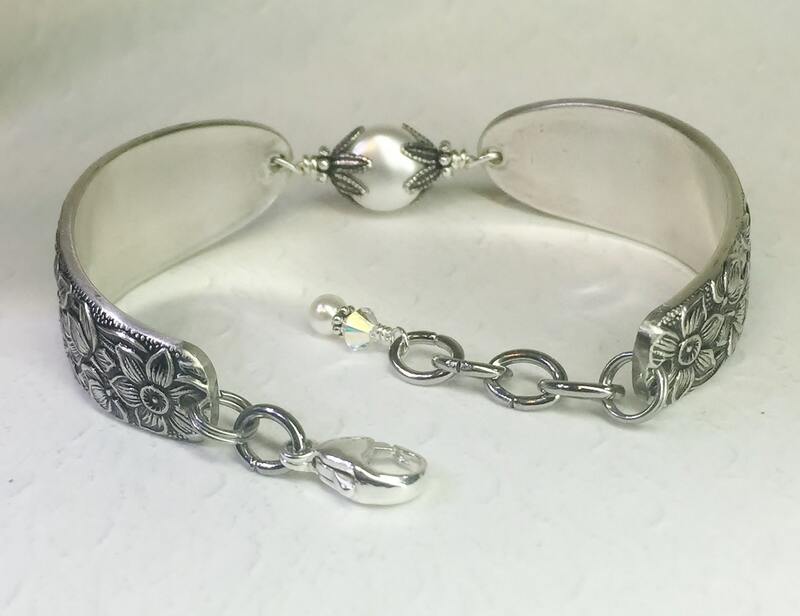 This pretty piece of silverware jewelry will arrive in a festive organza gift bag with a Spoonfest Jewelry story card, details about the spoons, and your complimentary bracelet hooking tool. The bracelet is beautiful. 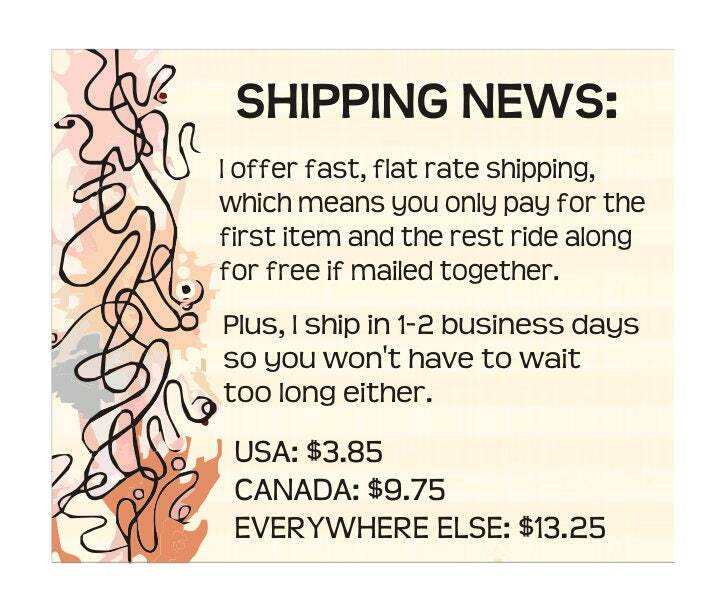 I received it quickly even though I had ordered it close to Thanksgiving. Very happy! Thank you so much I absolutely love this it is for a Christmas gift and I’m going to be ordering another for my mother❤️ so classy thank you !!! 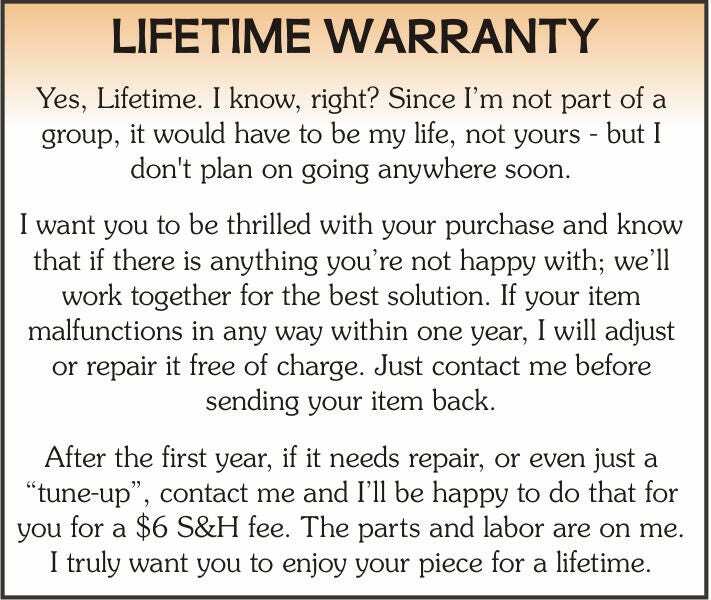 I was so impressed with the level of service I received! She was attentive and went way beyond my expectations. All of my bracelets were custom and they look even better than the photographs. The quality seems very good too. Thank you!! I'm sure I'll be back in the future.